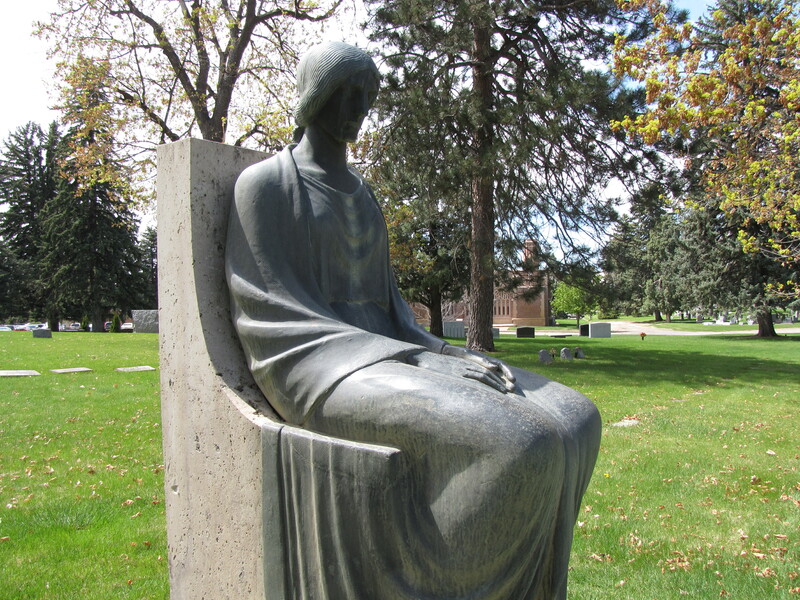 The elegant and sleek mourning figure that marks the graves of Bert and Mildred Travis in the Fairmount Cemetery at Denver, Colorado, sits serenely in a chair, her head slightly bent in sorrow. She clasps her hands together in a display of contemplation and grief. 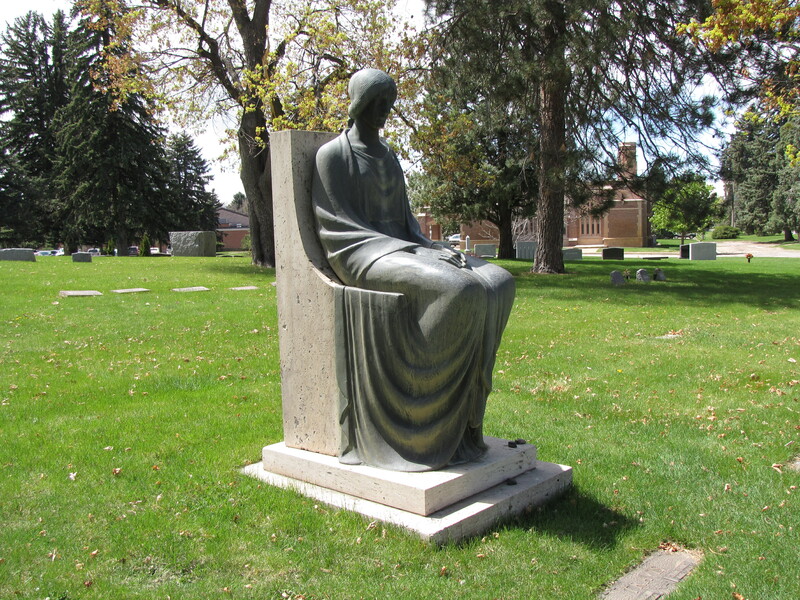 The patina of the bronze makes it look as if tears have streamed from her eyes which has given way to the name of the statue, the Lady of Tears.